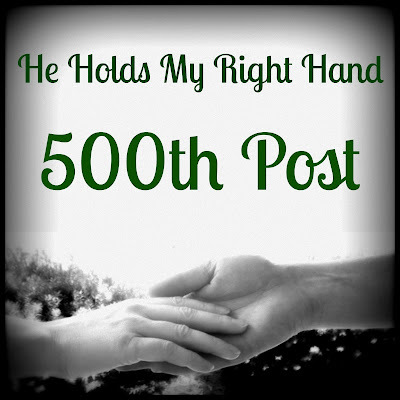 He Holds My Right Hand: 500th Post on "He Holds My Right Hand"
500th Post on "He Holds My Right Hand"
I have been blogging for about 8 years, and this post is the 500th post! 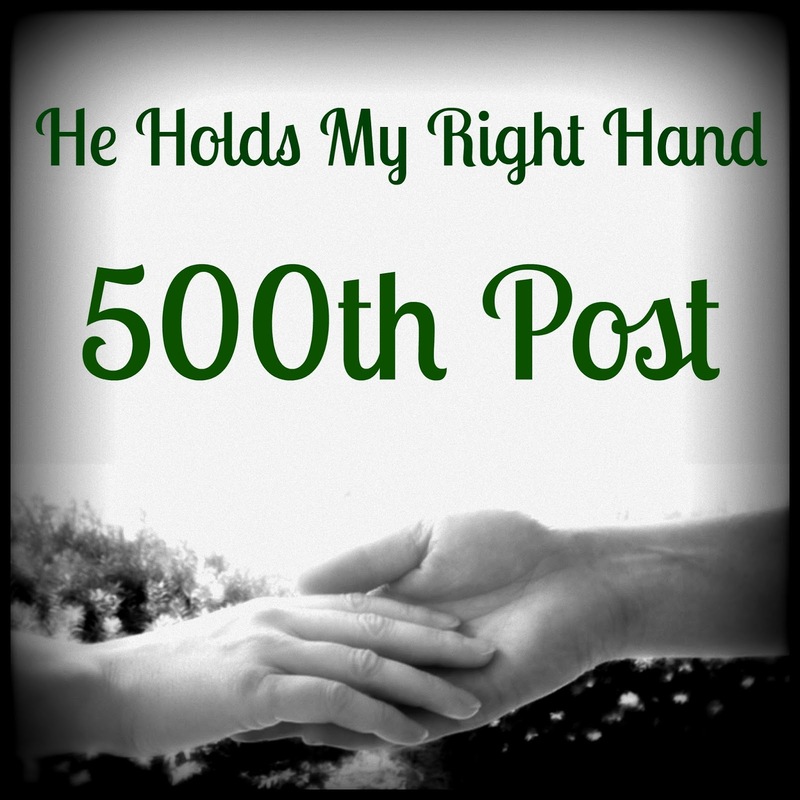 I have written about many different topics over the years, including devotionals, hymn studies, ways to encourage others, my cancer journey, autism, tourette syndrome, guest bloggers, book reviews, and more. It has been fun, and a huge learning experience for me in many ways. DOES GOD GIVE US MORE THAN WE CAN HANDLE? WAYS TO ENCOURAGE #7: SEND A "CARE PACKAGE"
GUEST REIN SCHMIDT: DOES GOD REALLY LOVE YOU?